PALMDALE – The City of Palmdale’s parks and recreation department’s aquatics division will join forces with more than 190 water safety and training organizations from more than 30 states and six different countries to present The World’s Largest Swimming Lesson™ (WLSL), at 8 a.m. on Thursday, June 14, at the Marie Kerr Park pool, 2723 Rancho Vista Boulevard in Palmdale. Children aged 1 through 17 are especially encouraged to attend and must be accompanied by a parent or guardian. Early registration is encouraged as the event is limited to 50 children. 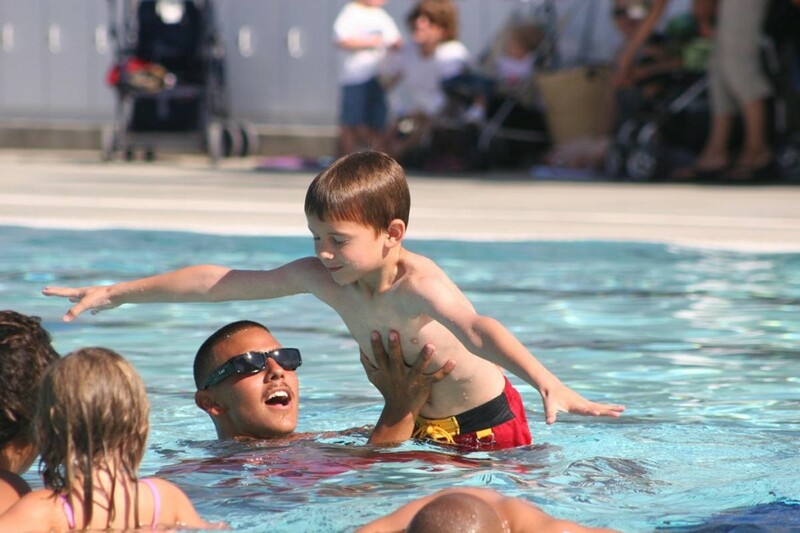 Participants may register online at www.cityofpalmdale.org, by visiting the parks and recreation office at 38260 10th St. East in Palmdale, Monday through Thursday from 7:30 a.m. to 6 p.m., or by emailing aquatics@cityofpalmdale.org. “We had a nice turnout last year for this important event that helps build awareness about how vital it is to teach children how to swim to help prevent drowning,” said Head Lifeguard Andrew Shore. The WLSL is being presented by a coalition of the nation’s leading water safety and training organizations including: Association of Pool and Spa Professionals, International Swimming Hall of Fame, International Swim Instructors Association, Independent Pool and Spa Service Association, Jeff Ellis & Associates, National Aquatic Safety Company, National Recreation and Parks Association, Starfish Aquatics Institute, Swim For Life Foundation, United States Swim School Association and the World Waterpark Association. For more information about the WLSL, visit www.worldslargestswimminglesson.org. For more information about the WLSL event in Palmdale, contact the parks and recreation office at 661-267-5611 or by email at aquatics@cityofpalmdale.org.